It is not at all complicated to get a PCO license for London Private Hire vehicles. 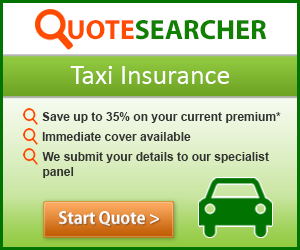 Sadiq Khan, the mayor of London, has repeatedly voiced his concerns about the rapid rise in numbers of private hire drivers in the city and there are suggestions that this number will soon be limited and few extra rules will are imposed. One of them is an English language test to weed out the people with less than desired speaking skills, which is supposed to improve the quality of the service on both Uber and the minicab firms platforms. How To Get London PCO (Private Hire) License To Drive For Uber? If you still haven’t got your PCO license below are the few things that you will need to apply and the rough cost of each form that you need to obtain. That cost might vary, especially if you decide to go to some of those private hire centers that are so widely advertised when you search “PCO license” in Google. Some of the price packages are quite good, to be honest, and I highly recommend them if you are haven’t lived in London for a long time. They have GPs on staff, which are known to not care much about anything except the money they get for the form they stamp. I seriously doubt they check for diabetes or any other serious conditions and getting the medical form stamped is just a formality. I have heard about more than one person that got their license by dodging the doctor’s exam and providing false details in their declaration, especially the living for three years in UK question. 1. Age and Driving License. You have to be 21 or older and have a driving license for at least three years. Your license has to be either UK or EEA (European Economic Area). There are several forms that you need to fill out. Some of them are paper ones that need to be filled out, and others can be done online via the TFL website. The actual TFL application cost is £250, and in case they reject you for some reason, they will only refund you the license fee – £100. The rest of it is non-refundable – the license application fee. You can request the whole application pack from the TFL website, and it will be mailed to you free of charge. I don’t recommend sending the application in the mail – it takes a lot longer to be processed and delivered to the person who is responsible for making the final decision about granting your license. TFL have a very convenient online form and takes you through all the necessary steps and documents. You can upload everything straight from your computer. It is much easier, and you save a few quid on postage. This way you will know if you made any mistakes faster, fix them and get on the road sooner. You have to go to your personal GP for that. It usually costs between £80 to £120 depending on the area that you live. If you are healthy enough, there shouldn’t be too much of a hassle to get the paper filled out and stamped by your GP. The form is called TPH/204 and can be downloaded from the TFL’s website here and printed or, if you want to save some ink and paper, can be requested as part of the Driver License Application Pack which can be found on the TFL’s website once you sign up and create an account. The form covers the DVLA group 2 standard for driver fitness and has to be filled out by a GP who has access to your past medical records. You will most likely have your blood pressure checked, pass an eye test and asked a few questions about your health, do you smoke or drink and stuff like that. Pretty routine stuff if you are in decent health. If for some reason the GP doesn’t have access to the medical records it might get tricky, but it is not the end of the world. It might be good to know this in advance, but if you go to a random GP they might state in the form that they have no access to your medical records and TFL will ask for more information. As I mentioned above, it might be better to go to one of those “PCO centers” that have GP on staff so they can stamp and sign your form with no questions asked. If TFL spots that the GP has no access to your records it will ask for another form to be filled out – Additional Medical Information Form and it will be customized for you by the escalations team. You will have to complete a DBS check with TMG CRM. It is a mandatory check, and there is no way to avoid it. It shows that you are a “character of good conduct” and you have no criminal convictions or anything dodgy like that. If you indeed have a criminal record that doesn’t mean that they will disqualify you right away, but if you have any previous convictions on your record TFL says they will assess them on an individual basis and it will consider the nature and the seriousness of the offense. You have to keep in mind that violent and sexual crimes will most certainly ban you from applying for a PCO license and rightfully so. If you have lived outside the UK for more than three consecutive months in the past three years, TFL will ask you to fill out the Living And Working Abroad Form. If needed, it will need to provide a certificate of good conduct, translated and notarized by an embassy if not issued in the UK. It is pretty much a criminal record check which has to be provided by the consular of the country that you have resided for more than three months in the last three years. It is separate from the compulsory DBS check you need to pass, and it is due only if you are foreign or have lived outside of UK for a while. Here you can take full advantage of Uber Ignition program. Uber is one of the TFL’s approved topographical skills centers. They will help you with the topographical skill assessment and issue a certificate for it. It is a mandatory part of the PCO license unless you are exempt from it. Few people are exempt, and they are either previous PCO license holders, black cab drivers or pro tourist guides. It is not a big deal to get one. Most certified topographical centers are pretty lenient when it comes to licensing, so the actual test is nothing to worry about. You have to be able to read London A-Z and a Great Britain road atlas and create a decent route between point A and point B in the said Atlas. They test you on map reading ability, route selection in local and long distance trips and general topographical skills where you have to name a few counties surrounding London, for example. Nothing to worry about. 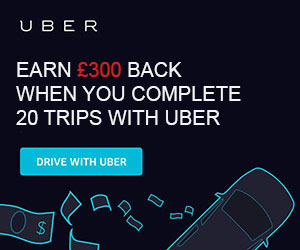 The good thing about Uber’s Ignition is that if you plan to drive for Uber, which I guess you are if you are on this site, they will reward you £300 after you complete 20 trips. The said 20 trips a driver can make in a day or two, and you will have £300 back in your pocket. They pretty much pay for you to get the license and provide an incentive to drive for Uber. Nice, huh? Just be careful with Uber Pool – it is very tricky to avoid them nowadays. That is a new one, and I guess one of TFL’s latest ideas on how to reduce the number of private hire drivers in London and make a little bit extra cash. On October 14th, 2016 they introduced the English Language requirement. According to TFL all Private Hire and Taxi drivers are required to possess a certain level of English language proficiency to be able to transport the public from point A to point B and be able to read the road signs and announcements and communication from TFL. Private hire drivers heavily criticized the English language requirement, and Uber filed a lawsuit to question its legitimacy. TfL responded by making the test mandatory for ALL drivers – taxi and private hire – and new applicants have until the 31st of March, 2017 to prove TFL their proficiency in the English language. It is valid even if you were born and raised in an English-speaking country. Go figure! If you don’t possess any of those documents and you applied for PCO license between the 14th of October 2016 and March 31st, 2017 you will have until the end of March 2017 to prove that you know the language at a satisfactory level. You will have to shell out £200 for a language course/test from a TFL approved center to get a B1 English level certificate. I haven’t done the test yet, although I am from a non-English speaking country, I am not due for renewal until 2019, so I will wait and see what will happen till then before I decide what to do. How Much Does It Cost To Get PCO License And How Long Does It Take To Get It? The rough cost of the PCO license used to be about £400 – £450 give or take before the introduction of the English requirements. Now it is around £600-£650, and it is quite pricey. Some of the advertising centers have caught up with Uber’s free topographical certificate, and they offer a fairly reasonable price, so if you are not 100% sure what to do and how to do it, you can visit one of those places. It might be faster for you, although I decided to be a cheapskate and did it on my own. Usually, it takes about a month to month and a half for TFL to make a decision whether they should grant you the driving license or not. In some cases, it might take over 3 or 4 months if you failed the medical or the topographical tests or there is some inconsistency with the application. Be careful with all the dates and papers. Transport of London is not always easy to deal with when you made any mistakes in the application and sometimes it takes more than a few minutes to get a representative on the phone when trying to get in touch with them. So good luck with all the licensing and, please let me know if you have any questions or concerns!